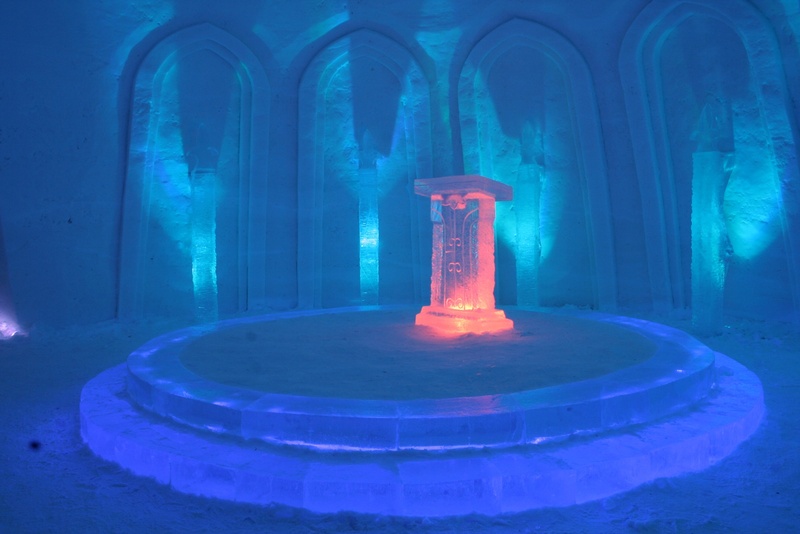 Palaces of ice have long been a mainstay of story and myth in European culture. 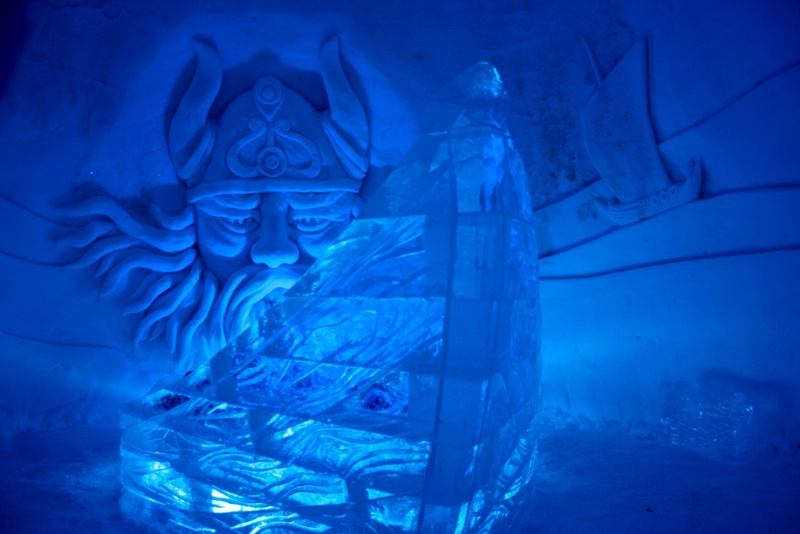 From the frost giants of Norse mythology through Hans Christian Andersen’s classic recounting of the “The Snow Queen” to modern day America with its legend of Superman living in a huge ice-palace known as the “fortress of solitude”. 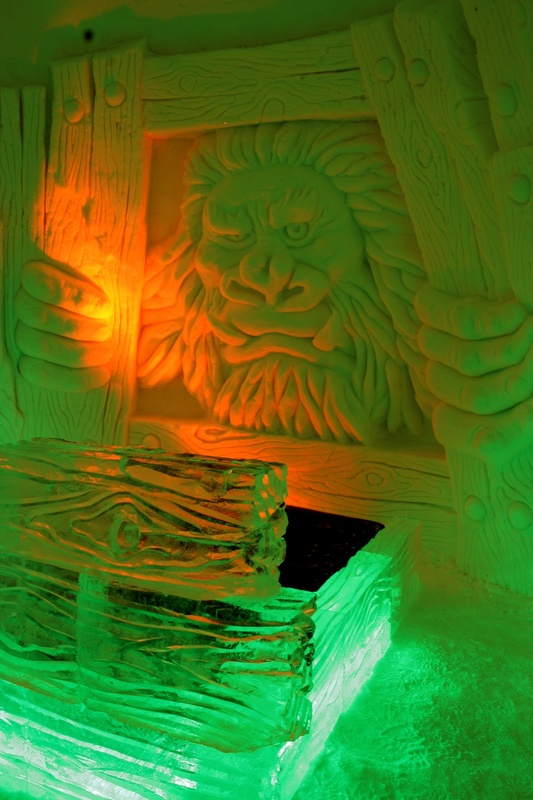 And if you thought that such places were but tales told to Bavarian children on a moonlit night, you’d be wrong. 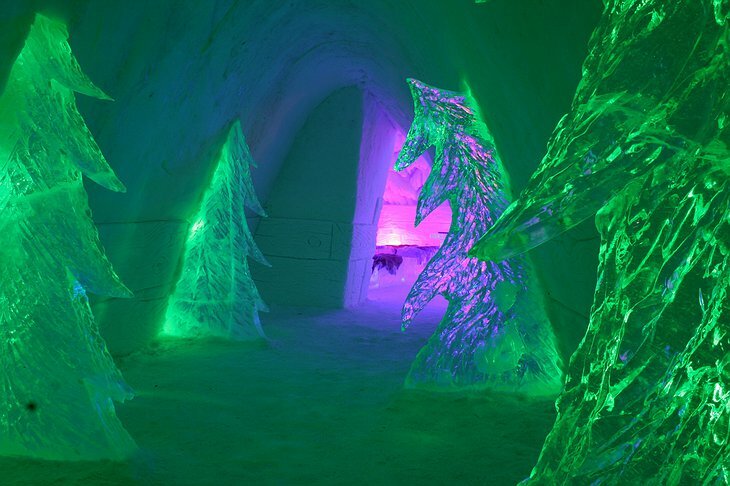 For once a year, deep in the Finnish Arctic Circle, there rises a magical village made of snow. Now in its 12th year, the SnowVillage is built from 1.5 million kilos of snow and 300,000 kilos of clear natural ice. 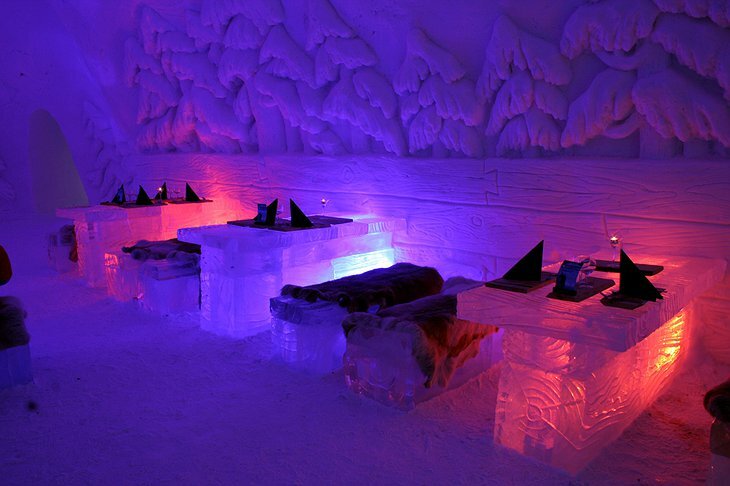 Drink from ice glasses at a bar made of ice. 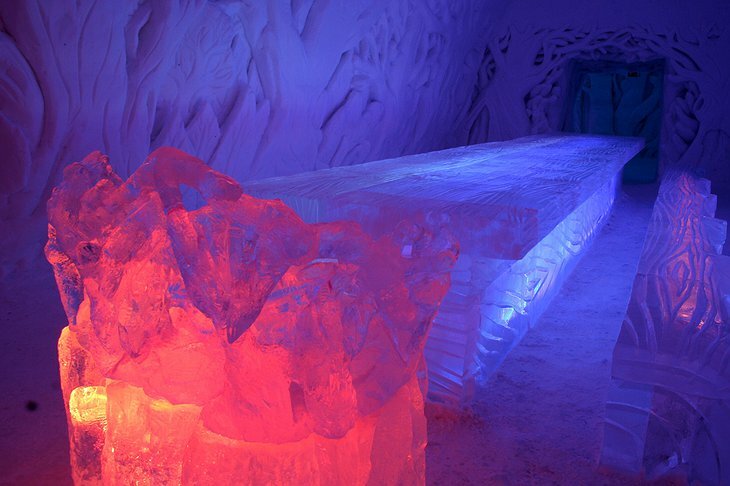 Dance in the igloo disco, maintain your devotional practice in the ice chapel and, at night, retire to your room made of snow where you sleep on specially insulated blankets; the LED lights shining like fireflies within a ice chandelier. 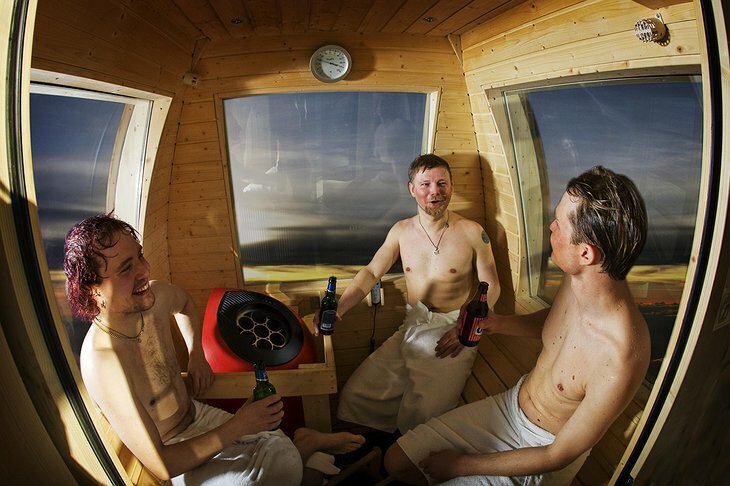 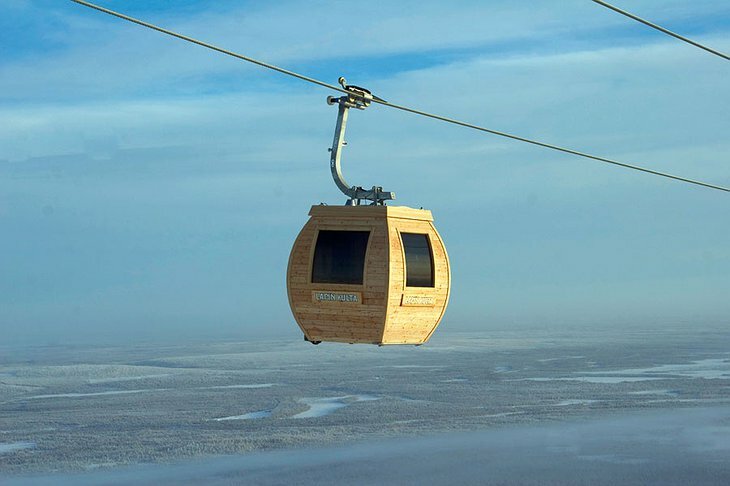 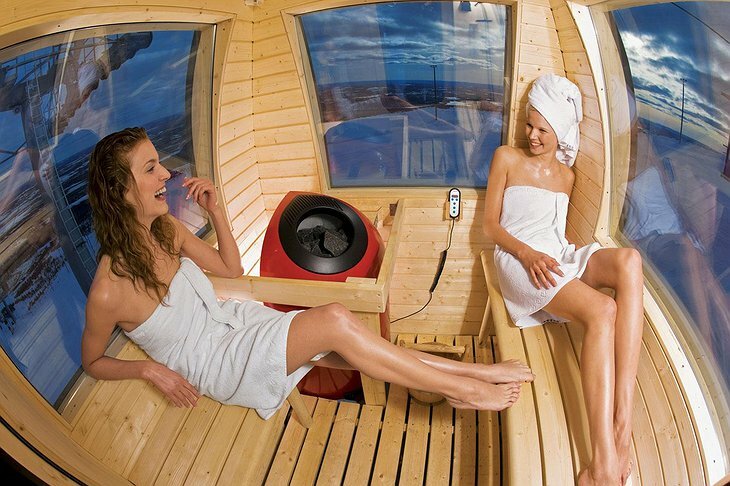 The Sauna Gondola runs from the top of Ylläs ski resort and takes you on a 20 minute steaming hot trip.